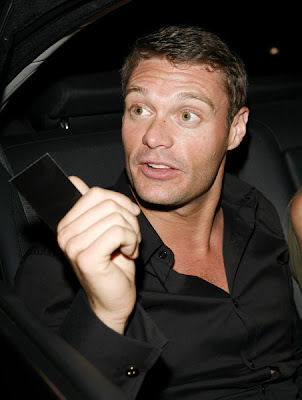 "American Idol" host Ryan Seacrest, whose Teri Hatcher stunt remains in vivid memory, was spotted on Saturday night hitting the Los Angeles club scene with an unidentified female companion. The TV and radio host generated some publicity earlier this week with yet another faux on-air feud with his "American Idol" nemesis Simon Cowell accusing him of causing the show's ratings slide due to his overexposure. 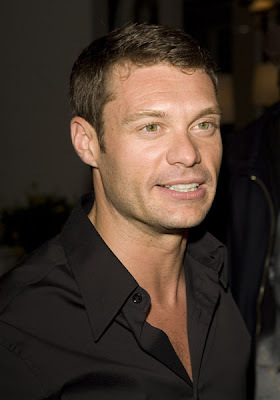 Appearing on Seacrest's morning show on LA's KIIS FM station, Cowell responded by saying when he used to get more airtime - 34 million tuned in; when Seacrest did all the talking - 12 million tuned out. Ha-ha-ha... You, guys... Stop that. That's funny. Seriously. "Heroes" Casting: Claire's Boyfriend Found!